Chris is an Asset Manager with TerraCap Management and is responsible for the leasing and strategic management of assets located in Orlando, Tampa, and Sarasota, Florida, as well as Charlotte, North Carolina. Mr. Thompson also oversees TerraCap’s Insurance Policies and Annual Property Appraisals. Chris joined TerraCap in February 2016 as a Financial Analyst where he provided support to the Director of Asset Management. Chris has over 8 years of real estate industry experience, which includes working with real estate developers and a publicly traded financial institution. 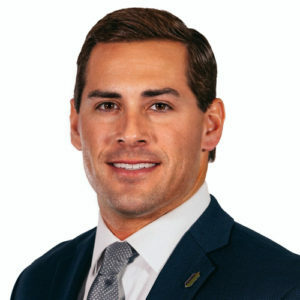 Prior to joining TerraCap, Chris worked at Kolter Land Partners and Raymond James Tax Credit Funds where he was responsible for financial analysis, modeling and budgeting, debt origination, reviewing due diligence, analyzing market data, and providing investment analysis. In these roles, Chris participated in over 30 transactions that led to the placement of $300 million in equity capital. Chris has earned three degrees from the University of Florida: Master in Business Administration (2016), Master of Science in Management (2009), and Bachelor of Science in Construction Management (2008). He is also involved in Urban Land Institute, Society of Real Estate Professionals, and the University of Florida’s Bergstrom Council.